You’re careful about your health. You do your best to eat well, and you pay attention to the ways that your diet affects your energy levels. But something seems off. You’re experiencing annoying symptoms that you can’t explain. You’re often gassy and bloated, your skin may not be clear and glowing anymore, you may be ready for a nap after a meal and you wish you could remember where you put your keys. 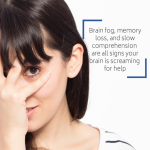 Why does your memory feel so foggy? These issues are frustrating (and often embarrassing). They’re also very common. Many patients come to see me with healthy lifestyles, but are baffled by continuing digestive issues, mysterious rashes, and low energy levels. If this sounds familiar, it may be time to take a good look at your diet. 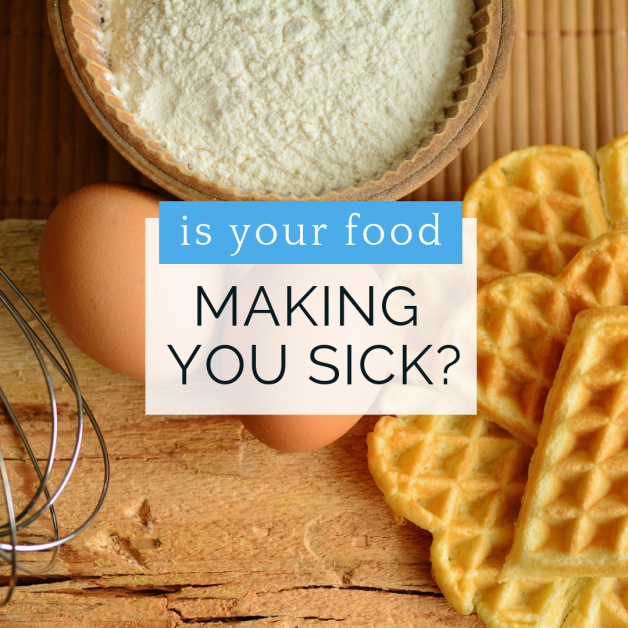 Even a “healthy” food can make you sick if your body is sensitive to it. For many, the food mystery becomes both frustrating and overwhelming when trying to understand what foods are nourishing you and not making you feel terrible. But the good news is that you may not have to look very far to make changes that relieve your symptoms. With a bit of detective work, and a bit of help, you can map out a dietary plan that restores your wellbeing. What are the Symptoms of Food Sensitivity? Food sensitivity can be tricky to diagnose. One reason is that there’s no one-size-fits-all description of the way our bodies react. Symptoms vary from person to person and can even be different depending on what else is happening in your body. For example, you might respond differently at different stages of your menstrual cycle. Another reason why a food sensitivity is often a missed diagnosis is that these symptoms can be delayed up to 24 hours after a meal, so many people don’t make the connection between what they ate and how they feel. Similarly, it’s difficult to measure how many people suffer from food sensitivities because a lot of us don’t seek medical help, figuring that it’s “normal” to feel gassy and tired all of the time. In fact, conventional medical practitioners can be skeptical about food sensitivity symptoms, which can lead to frustration for patients. But it doesn’t have to be this way. It’s important to recognize the difference between food allergies, food intolerances, and food sensitivities. Food allergies are immune reactions. After eating a certain food, your body’s immune system launches an attack by making its own protein, called immunoglobulin E (IgE). The next time you consume that food, your body is ready to attack again. The IgE causes your body to release a chemical called histamine, which triggers the physical symptoms of an allergic reaction. This is the type of allergy reaction one has to pollens and dander. With food, it can cause frightening anaphylaxis reactions. A food intolerance occurs when the body loses the ability to produce a certain digestive enzyme. Lactose intolerance occurs when the body cannot produce the lactase enzyme, and fructose intolerance occurs when a body cannot produce the fructase enzyme. Eating foods with lactose or fructose will then cause gas/bloating and diarrhea to occur. A food sensitivity reaction occurs when you eat a food and it forms an antigen/antibody reaction. That is, a different part of your immune system binds to the food, the IgG reaction. Those immune complexes can cause intestinal and systemic problems in the body and mind. There are specialty labs that can detect this reaction. Yunique Medical uses Cyrex or Meridian Valley Labs and one blood draw can uncover up to 184 food sensitivity reactions. If we continue to eat that food sensitivity, the lining of the gut can become inflamed and damaged. Eventually, it can become permeable, so the undigested material “leaks” into the bloodstream. Not surprisingly, this is called “leaky gut” syndrome. What is the root cause of food sensitivities? And why are they becoming increasingly common? Eating the same food over and over: the gut loves variety and is healthiest when many different foods are eaten regularly. Simply eating cheese, wheat and eggs all the time increases the risk that you might develop a sensitivity to one of them. Antibiotics and other drugs that harm the gut: many medications can harm the gut, the ability to digest, the beneficial bacteria in our intestines. Proton Pump Inhibitors and common anti-inflammatories, such as ibuprofen and naproxen are devastatingly damaging to the gut as well. Poor diet: A diet high in processed foods, sugar, chemicals, Genetically modified organisms, too much coffee or alcohol—all these things can over time increase the inflammation of the gut lining and the risk of developing a food sensitivity. Lack of protective nutrients: Ingesting foods high in antioxidants and anti-inflammatory chemicals help protect all cells in your body, including your intestinal lining. Dysbiosis: When you have low beneficial bacteria or an overgrowth of problematic fungal or bacteria species, this can cause leaky gut and food sensitivities. Eating too fast, eating too much: Poor eating habits can stress the gastrointestinal tract. Which Foods Can Cause Food Sensitivities? Uncovering food sensitivities is a fantastic reason why seeing a medical professional is a good idea if you suspect your food may be making you sick. In addition, medical supervision can ensure your approach to food remains healthy and balanced. Research suggests that food sensitivities can be a trigger for disordered eating in some people. After all, if food is causing you pain, but you’re not sure which foods are to blame, it’s easy to associate your diet with negative experiences. How Can You Treat Food Sensitivities? Uncovering food sensitivities is a truly valuable medical journey for many patients.